In July, 2016 I volunteered in Souda Refugee Camp on the Greek island of Chios where more than 1,000 refugees from the Middle East, Asia and Africa live in in deplorable, over-crowded conditions. Meals (vegan) are distributed only through the generosity of local and international volunteers. The NGO I volunteered with was providing essential additional nutrition packs to pregnant, breastfeeding mothers and their infants. 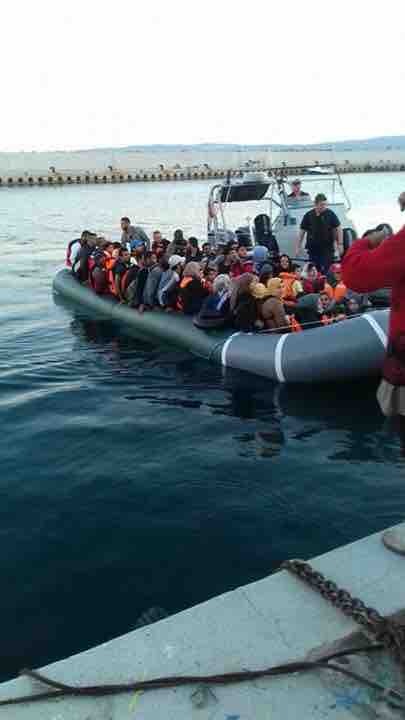 That NGO has since left Chios, where roughly 60% of the refugees are women and children. I AM RETURNING TO GREECE THIS DECEMBER AS AN INDEPENTDENT VOLUNTEER TO CONTINUE HELPING REFUGEES. 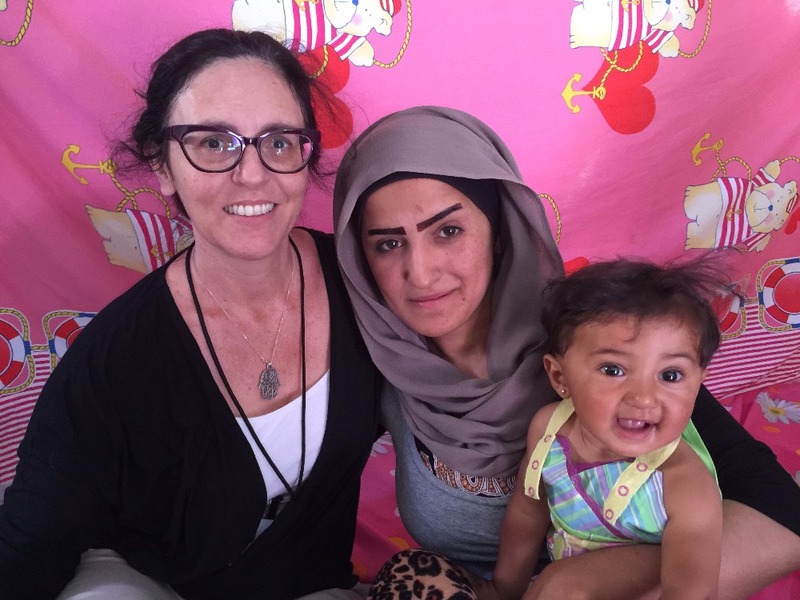 Since my trip in July, I have connected with pro-bono advocacy attorneys, a team of independent volunteers, who through their own ingenuity and financial assistance of friends and family, are able to accomplish more than through most organized NGOs, hear from refugees seeking help daily, and will also partner with local grassroots organizations on the ground. Refugees in Greece are put in squalid camps or even worse, are homeless on the streets of Athens. Life-saving medicines and medical treatments are routinely denied. 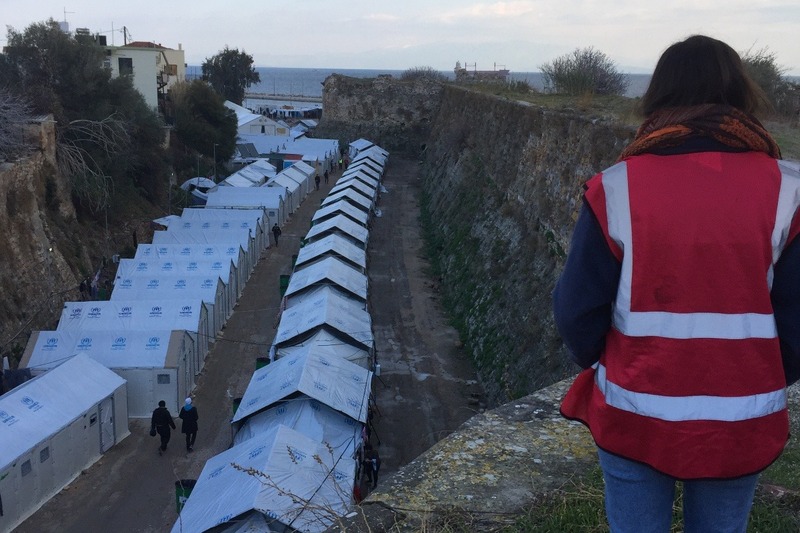 The EU, Greek government and NGOs on the ground have proven themselves incapable of providing the most basic of necessities nor the ability to uphold internationally accepted standards of human rights. Those providing help most quickly and effectively are independent volunteers who fill in the gaps. 100% of your funds donated to my personal campaign to help refugees in Greece, will be used to provide essential items such as blankets, tents for homeless, food, money for shelter, shoes, winter clothing, baby diapers and milk, and medicines. I will once again be paying my own airfare, lodging and food expenses. I will be in Greece from late December through mid January. Sending funds well in advance of this upcoming trip will be a huge help as it takes time to access the funds while in the EU. PLEASE HELP with a donation of any amount. Every contribution helps. PLEASE SHARE with your networks on social media. Unfortunately, the United States is not the only country routinely separating immigrant parents from their children. Mohammad (not his real name) has been separated from his tender-age daughter for over two years following his deportation from Spain. I met Mohammad on my second visit to Chios, Greece, where I worked as a volunteer at the Souda refugee camp. In the period since then, Souda was shut down by the authorities, leaving Mohammad homeless, without access to health care, food, or respite from the long, cold winter. Eventually, Mohammad was deported from Greece to Turkey, and from there deported again to the disputed Western Sahara area. Desperately trying to reunite with his daughter in Europe, he works long, dangerous hours as a fisherman, hoping to earn enough money to be able to make the journey. Mohammad's situation has become urgent. The Western Sahara is a troubled region, the site of a complex struggle between Morocco and Algeria that has resulted in a chorus of accusations of human rights violations by numerous watchdog organizations. He feels his life is in danger every day. Scott and I are trying to raise $1,000 to extract Mohammad from his perilous situation and help reunite him with his daughter in Europe. Any amount helps us get closer to this goal. Every dollar of the first $500 we raise will be matched by an anonymous donor, so your contribution will go twice as far. Please help us bring father and daughter together, ending years of cruel separation. Please note: contributions are not tax-deductible. 100% of funds raised will be applied directly to allow Mohammad to rejoin his daughter. 100% of additional funds raised, if any, will be applied to assist needy refugees around the world. This article highlights what asylum seekers and refugees are expected to live on in England. The situation is the same in Greece where the allowance is €90 a month. This is why I continue my GoFundMe campaign and help defray expenses for food, rent, medicine, and cell phones. * In Vial camp there was no water for drinking or showering last week. * The camps are over full beyond capacity and for the first time there are more refugees on Chios than on Lesvos! 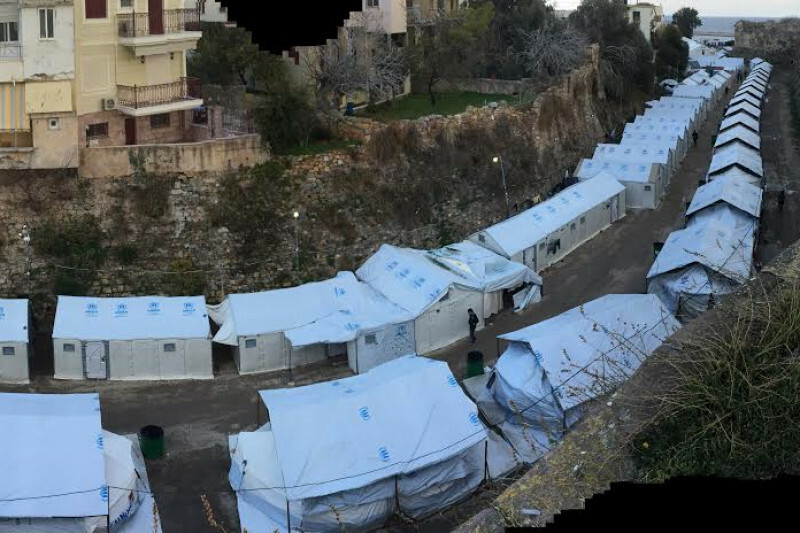 * In Souda camp the tents flow outside the camp onto the shore of the sea. Where there was once an empty beach is now covered in small flimsy tents. CAMP MANAGEMENT WILL ONLY PROVIDE TENTS TO REFUGEES WITHIN THE FORMAL PERIMETER OF THE CAMP. For the refugees for whom there is no room in the camp, volunteers are providing the tents. Please support my campaign to help refugees. On Chios I will be supporting and volunteering again with the Chios Eastern Shore Relief Team https://www.facebook.com/groups/421759534684819/. 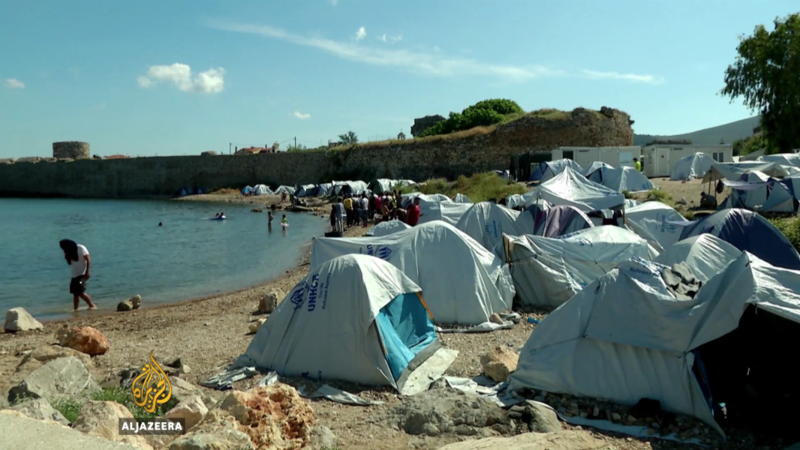 Funds will be used to purchase tents for refugees, food, clothing and supplies for refugees when they come ashore, diapers and more as needs change daily. A portion of funds raised will also help purchase a laptop for a Syrian stuck in Istanbul --with a laptop he will be able to work and purchase food and pay rent for a modest studio. If I reach my goal of $10,000 funds will also help support the Chios People's Kitchen run by and for refugees https://www.facebook.com/pg/chiospeopleskitchen/about/?ref=page_internal. Thank you to all who have supported so generously over the past year.